Now that you purchased a game camera, how do you best use it? Well, it depends on the game you are scouting. Trail cameras can be used year around to keep a watchful eye on that buck of a lifetime. First and foremost, be discrete. Don't overuse the game camera, there is no need to check it every other day. Daily intrusion into your hunting spot can only do one thing: scare game away. The whole point of a trail camera is so that you don't have to enter the woods often to scout the area, just leave it be. Practicing scent control can only be beneficial to your camera set up. Even though you will only visit the woods every once in a while to check your cameras, it's smart to minimize the amount of scent left behind. Wear scent control clothing, rubber gloves, and then bring some scent control spray to spray down the camera once you have it set up. Some think this method is overkill, but in a study done at DePauw University, it was proven that more pictures of bucks were taken when scent control was practiced. Strategically placing cameras will likely give you more photographs and therefore more insight as to what your game is up to. Try focusing on feeding or bedding areas or spots where multiple game trails converge to one point. By gathering as much data as possible, you will learn more about the patterns of your game. But remember, be careful about getting right up in game hotspots. Practice proper scent control and try to limit your visits to the area. When considering hot rubs and scrapes, don't walk right up and place a camera on the tree. Use some common sense and stay back, but remain in the effective range of your camera to monitor those hot rubs and scrapes. Although infrared has a lower chance of spooking game, there is still a chance. You can limit that chance by placing the camera higher in a tree, above your games sight plane. Again, this isn't a crucial step but is one that many seasoned hunters use to minimize the chances of spooking game. Of course, the camera must be set to the appropriate angle so that you still get pictures. If used properly, game cameras can be extremely effective tools for scouting. They allow you to have eyes in the woods at all times. Not only do most cameras take pictures, but also video, adding to the overall experience. Hopefully this guide helped you not only with some features to look for, but even a few tips for when you put your new camera in the woods. Best of luck in your scouting endeavors. Mitch Strobl serves as VP of Agency Relations for Kalkomey Enterprises, where he works closely with state government agencies to develop and deliver safety courses for today's new hunters. 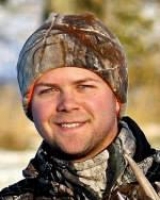 Mitch has dedicated his life to the recruitment, retention, and reactivation of hunters. To reach Mitch, please send him an email at mitch.strobl1@gmail.com.